Less of a young professional - more of an ancient amateur. Chief Technology Officer during the building of CodeIgniter and ExpressionEngine. Built a massive, scalable RESTful API for the ImpactFlow SaaS. Talented at understanding in-depth technical details while keeping an eye on the bigger picture. Eternal student of Nature, Science and Technology, Medicine, and Philosophy. Wrote thesis on the Right of Privacy and went back to school for Pre-Medicine. Programmer and designer. Wilderness First Responder and outdoor guide. Always more to learn. Runner of trails, climber of Cascades, long distance biker, and a dabbler in kayaking and rafting. Thru-hiked the Pacific Crest Trail in 2013. Have survived blizzards on Mt. Hood and scorching days in the Mojave. Never ask me about couscous. In case of emergency? RUN! Paul Burdick is a 39 year old programmer, adventurer, and all around geek who is unwilling to call himself an enterpreneur because he refuses to put on airs. He frequently dabbles in startup life and has been the Chief Technology Officer for both EllisLab (creator of ExpressionEngine and CodeIgniter) and ImpactFlow. After his time at EllisLab, he joined up with the fine folks at Solspace and explored the realm of client work by working with the likes of Nokia, Turner Broadcasting System (TBS), IDEO, and Broadcast Music, Inc (BMI). He has a degree in Philosophy from Reed College and returned to school a decade later to attend Portland State University for Pre-Medicine. Since 2003, he has been a certified Wilderness First Responder and later was a licensed Wilderness EMT for four years in Oregon. He interned at the Portland State Outdoor Program and has used his wilderness medicine expertise and backcountry experience to guide trips around the Pacific Northwest for both schools and nonprofits. 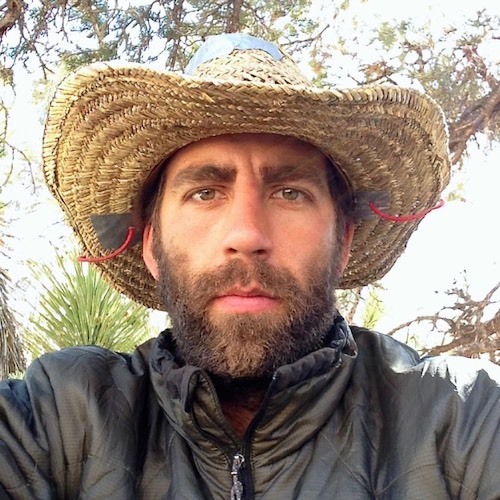 In 2013, after a long recovery from a knee injury, Paul completed a thru-hike of the Pacific Crest Trail and discovered how truly magical modern marvels like internal plumbing really are. He is an intermediate mountaineer who has climbed multiple Cascade volcanoes as well as Mt. Whitney and Longs Peak. Other passions include trail running–the chillier and muddier the better–and long distance biking. Lately he has been considering a winter thru-hike of the Appalachian Trail. Always interested in a worthwhile coding project or an incredible adventure.